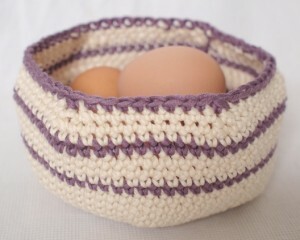 This project started as a way to practice the things I have learnt about crochet. I wanted to learn to make a flat circle, but once I had done that I didn’t want to stop! 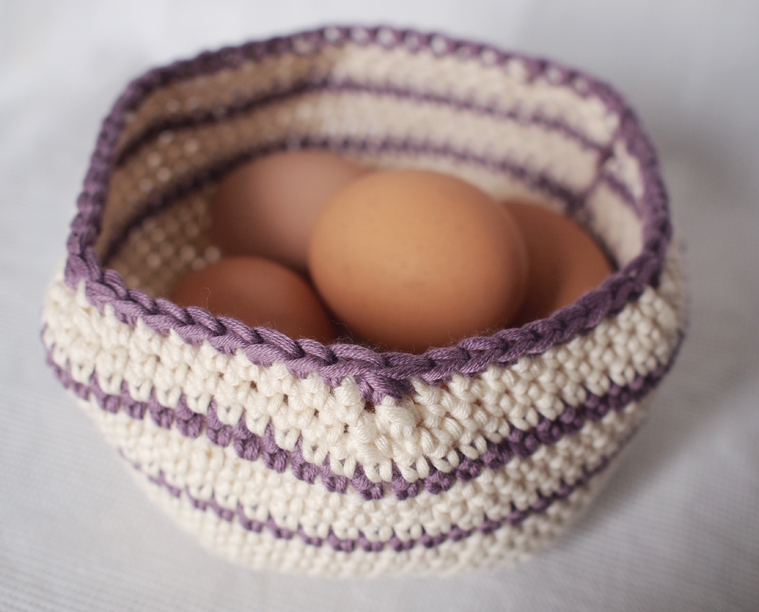 I ended up with this pretty little bowl for eggs, walnuts, wool, anything you might put in a bowl really (probably not cereal). Tutorials for the magic circle, single crochet, increase, and decrease are all available in the crochet section of this site. Cast on 6 stitches in cream using the magic circle method. Rows 12 – 15: Single crochet. Row 15: Single crochet using mauve. 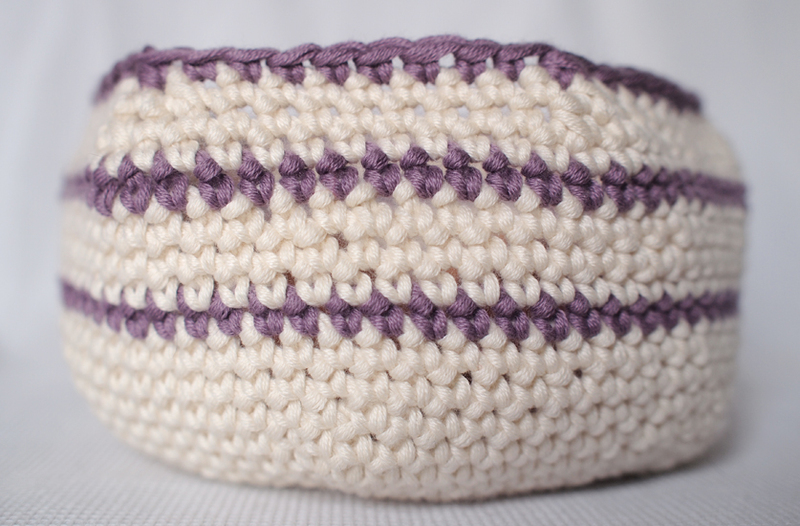 Rows 16 – 19: Single crochet using cream. 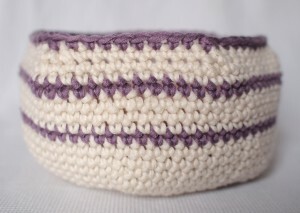 Row 20: Single crochet using mauve. Rows 21 – 22: Single crochet using cream. Row 23: Single crochet. Decrease 6 stitches in this row by decreasing in every eleventh and twelfth stitch. Row 24: Single crochet. 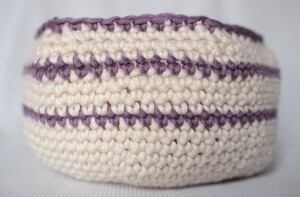 Decrease 6 stitches in this row by decreasing in every tenth and eleventh stitch. Row 25: Single crochet in mauve. Decrease 6 stitches in this row by decreasing in every ninth and tenth stitch. Pull mauve yarn through final stitch to cast off.